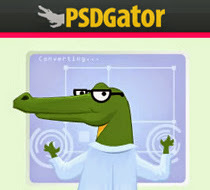 Looking for best PSD to HTML converter tools? 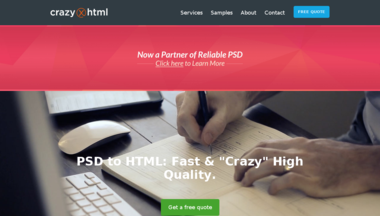 We have compiled a list of best websites that can help you convert PSD to HTML. In order to deliver a well balanced website, designers are required to focus over several vital attributes. It includes the over look and feel with navigation ease, semantic, web page loading time, compatibility over multiple browsers and a lot more. This could be a cumbersome task for a designer unless he/she possesses years of experience, good karma (valuable practice) and absolute expertise in the platform. Thus, it is advisable to consider a PSD to HTML services and achieve a remarkable web design that embraces the latest trends without getting deep into coding. Indubitably, there are several web development companies that offer invaluable PSD to HTML conversion services at affordable prices. However, with so many options around it often become hard to choose an appropriate service provider to efficiently achieve the ultimate goal. 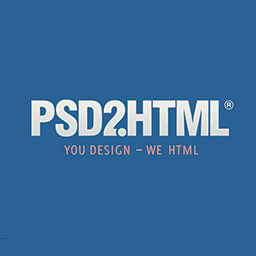 This article will offer you a list of the top-notched PSD to HTML service providers for your consideration. So that, you can further streamline your search as per your project requirements and seek the best suitable service provider. Let's have a look at the best PSD to HTML websites available out there. Backed with a team of over 150 professionals, Markupcloud offers incredible services. It not only allows one to convert their design into HTML, but one may even choose to convert into a desired CMS (including Drupal, WordPress, Magento and Joomla). They offer seamless communication and 24/7 technical support. Moreover, its money-back guarantee further scrutinize their services and ensure surefire results. High end responsive designs are in trend and you can conveniently attain it by hiring the affordable services of Designs2HTML. It strives to deliver outstanding performance with utmost client's satisfaction. It is a reputed and reliable company that is well known in the web development realm. With over 5 years of experience, it is consistently paving the path towards success. 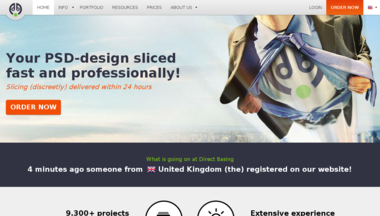 You can completely rely on the company, as it's backed by a team of over 250 expert developers. Most interestingly, it offers absolutely free support for 30 days. Available since 2005, this service provider has garnered an amazing popularity across the globe. They allow one to convert their Photoshop documents into the corresponding HTML/CSS or a Content Management System (CMS) at best prices. It also supports Drupal, WordPress and JS programming. You can even reap the benefits of its affordable services for transforming your design into an email template. Create a conspicuous online presence and convert your dream design into reality by hiring the suitable services from WordPrax. Its remarkable services make it stand ahead of its competitors. It is highly recommended to the folks seeking for WordPress development. Whether you want to customize your WP theme, plugin or simply want your PSD document to be converted into a WP site, WordPrax offerings add to its viability. 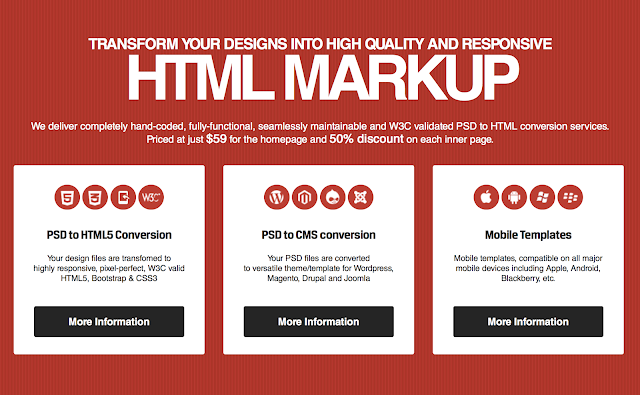 The absolute services of W3 Markup allow one to convert their Photoshop design into HTML or CMS themes. With the capability to handle Ajax, Cufon, jQuery and so forth, it possesses great expertise in the domain and thus, ensures high end results. Whether you have a design in PSD format or in any other format, CodeMyConcept offers services to convert an image file into SEO-friendly HTML and CSS. It also offers services to convert the design into CMSs including, WordPress, Magento, Drupal, etc. While supporting the latest HTML5 and CSS3, XhtmlWeaver delivers amazing conversion results. It is well-known for offering agile web development, and embraces W3C standards, clean jQuery, and a lot more. The affordable and high end services of XhtmlWeaver make it a preferred choice. This PSD to XHTML conversion organization offer hand-written code, which is cross-browser compatible. Moreover, it also ensures worthy conversions for email templates as well as WordPress. You may choose a suitable service and get your design converted into a proficient website. Get your PSD design converted into a functional website within a day by hiring the suitable services of Markup4U. It delivers pixel-perfect website that is semantic, search engine optimized, and easily accessible. Serving its clients with incredible services since 2006, XHTMLized offers services to efficiently convert your design into HTML or WordPress. In fact, it also ensures a responsive design, thus, allows one to conveniently target colossal audiences using different mobile devices. Convert2xhtml offers excellent conversion services for PSD to basic HTML or to Joomla, WordPress, vBulletin and PSPBB. It offers hand-coded results at affordable prices within efficient turnaround time. Moreover, it also makes sure that the end result is cross-browser compatibility. Its results ensure an absolute conversion of PSD documents into equivalent hand coded, W3C compliant HTML and CSS markup. 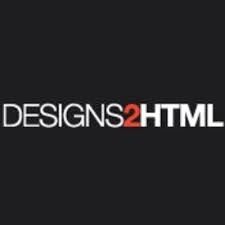 All the services of htmlburger will offer a lightweight and cross-browser compatible website. Most importantly, it facilitates its clients to first test the result without imposing any financial obligation. The effective and proficient services of xhtmlChop ensure a consummate conversion of your designs into an equivalent pixel perfect HTML code. They support various image files like PSD, ANG and AI. It offers responsive designs and high end markup. They don't just offer conversion to HTML, but also provide services to convert a design into an email and CMSs (including, WordPress, Magento, Drupal, Joomla, and more). Moreover, they also provide a free support for 180 days. This conversion service provider is well known in the industry for its quality services. It proficiently transforms an image file into HTML and CSS while ensuring the W3C standards. It offers pixel perfect and semantic conversions. Established in 2010, WordSuccor Ltd. has become one of a popular PSD to HTML conversion service providers in the industry. They have experience of delivering over 1000 WordPress sites with good customer rating and offer you one-stop-solution for PSD/HTML to WordPress theme conversion. Consider the aforementioned top PSD to HTML conversion service providers and choose the best suitable website. And, efficiently convert your design into an effective and impressive website. However, it is recommended to review their client testimonials and their portfolios before investing in the conversion services of any web development company. Also, don't forget to seek a Non Disclosure document before beginning the conversion process. This is more than imperative as it helps secure your design and info included in your design. This post is brought to you by Samuel Dawson, working as front-end developer for Designs2HTML Ltd. a leading PSD to HTML conversion company and he shares concrete information, latest trend & tips on front-end development technologies.